At the intersection of circles in the Venn diagram of Ferrari, Car and Driver, and November 1971 lies a very special sliver of commonality. It was then that C/D organized the very first Cannonball Baker Sea-to-Shining-Sea Memorial Trophy Dash. The entrants were a hodgepodge of vehicles, many of them modified. But the winning car, a Ferrari 365GTB/4 Daytona piloted by the one and only Brock Yates and professional racer Dan Gurney, was bone stock. 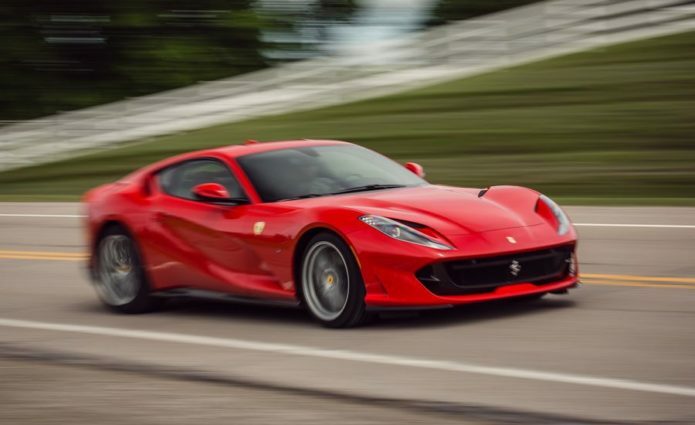 And the spirit of that Ferrari lives on in the 812 Superfast.